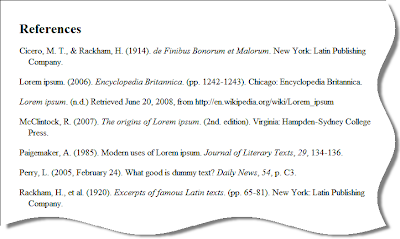 is an add-on that helps you cite books, journals, and websites in MLA, APA, and Chicago style by entering in titles, journal article names, and websites right inside your document. Throughout my school days, one huge headache when writing a paper was that dreaded and extremely tedious bibliography. As a way for students, teachers, and professors to ease into the school year, we decided to create four bibliography templates representing various citation styles. We've created these templates so that students in various disciplines could reap the benefit of using one of these templates and copying these styles in their papers. You'll find these templates in the Students & Teachers section of the templates gallery. As a sneak preview, take a look below at the American Psychological Association style bibliography template. All of you social science majors will get good use out of this one. Updates: Corrected the title of this post and the link to the gallery. Updated 4/10/14: Google Docs now supports add-ons, which let you add useful third-party tools into your documents. EasyBib Bibliography Creator is an add-on that helps you cite books, journals, and websites in MLA, APA, and Chicago style by entering in titles, journal article names, and websites right inside your document.